3D CAD animation software are generally more advanced than your average 2D/3D CAD software for they provide 3D animators with extensive tools to accomplish basic 2D and 3D models, advanced mechanical models, animating the models and creating video renderings of these models. Which makes your average 3D animation technology an all round tool for modeling, creating story boards and animation videos but mastering this user interfaces can be quite difficult due to its extensive abilities and steep learning curve. This article would be providing simple tips in using 3D CAD animation software for beginners to help you avoid the mistakes that occur when learning by yourself. These tips cut across all the major animation software available for commercial use and as the saying goes, learning any particular 3D user interface gives you the basic knowledge for learning all. It is important to note that all the above techniques can be used to model any animation character but some are tailored to suit some character design types more than the next technique and your technique choice should depend on the method you can quickly master before moving to the others. · Get acquainted with the user interface:- The first step to learning a 3D CAD animation user interface is getting acquainted with the tools and menus on the workspace. Avoid the disorderly approach by getting a specialized tutorial (video or text) document to put you through the paces. Most 3D animation software also provides users with in depth tutorials to help their consumers master their user interfaces. · Learn to Customize/arrange your tool set:- The tool range of your average CAD software is vast and trying to use them without a proper understanding, clutters your workspace and reduces your productivity therefore, customize your frequently used tools according to the number of times you use them in a format that allows you fold the tool menu and pop them back out when needed. · Start with Basic Shapes:- All animation lecturers and basic tutorials harp on the importance of starting small or with the basics therefore curb your enthusiasm and master the basics of polygon modeling by following your tutorials and trying out different ideas or shapes as they pop up in your minds eye. With this procedure, you would be able to learn faster and build basic 3D walkthough animations on your own. · Enable the creative Interactive feature:- This is a feature that shows you all the parameters, tool types and dimensions been used on a work surface. The creative interactive feature allows you make changes dimension and positional changes to your minute components of your character without having to use the extension tools to adjust your dimensions. You can also make color changes to your character through the creative interaction menu. · Modifying a character:- The different methods of modifying your character are; through the face, vertices and edge. Picking the method of modifying your character largely depends on the surface you are working on therefore for large characters with little surfaces; choose the face feature to edit them while for smaller faces with a lot of vertices you should use the vertex feature while characters with edges should be modified with the edge feature. · Choosing between shading or wire frame while editing:- Most beginners face the problem of choosing between working on shaded characters or on a models wire frame while editing but this should not be the case for while both have their merits, carrying out simple edits or the grouping of different components should be done on a shaded character while more advanced edits and modifications should be done with the characters wire frame. Finally, the fact still remains that the more you practice the better you become at creating characters with 3D CADanimation technology therefore, get your animation software, download the video tutorials and dive straight into animation and with dedication and much practice you would become a professional 3D animator. 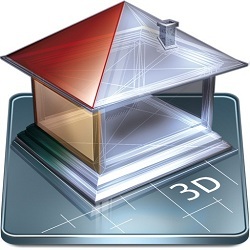 Thanks for sharing these tips in using 3D CAD animation software. Rendering 3D animation models is a challenging task that requires skill and creativity. This software provides useful tools to flesh out the details of characters in any animation.